Find out more about the greatest Bhutanese people, including Jigme Khesar Namgyel Wangchuck, Jetsun Pema, Jigme Singye Wangchuck, Chencho Gyeltshen and Jigme Dorji Wangchuck. Did you know that Bhutan is the only country in the world that marks its growth and development in terms of GNH (Gross National Happiness) instead of GNP (Gross National Product)? The happiest country in Asia and the eighth happy country in world, Bhutan is one of the most ‘isolated’ countries in the world. This landlocked Himalayan kingdom is rich in culture and heritage and proffers travellers and tourists beautiful landscape, scenic views and untouched greenery. Just as this ‘Land of the Thunder Dragon’ is famous for its beauty and ethnicity so are its nationals, celebrated for their works and their achievements. Of the most famous Bhutanese known to the world, some of them worth mentioning include Jigme Singye Wangchuk, the fourth Dragoon and the former King of Bhutan. He is responsible for modernizing this isolated Himalayan country. Jigme Singy Wangchuk not just introduced television to this mountainous country but also came up with a new constitution that helped the country make its transition from a monarchy to a democratic country. Dzongsar Jamyang Khyentse Rinpoche, a religious leader, filmmaker and author, is credited for giving Bhutanese people food for thought with his films and books. 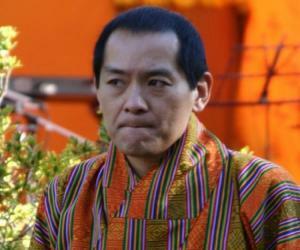 Tshering Togbay is a renowned politician of Bhutan and also the incumbent Prime Minister since 2013. Know some other important and famous Bhutanese, their life and their works, with this write-up.